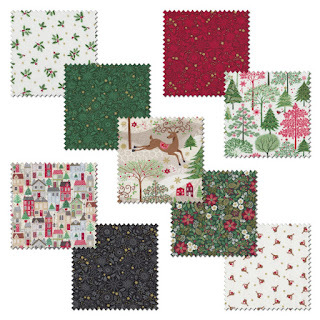 Pelenna Patchworks: Christmas fabrics now available with Makower's Silent Night! 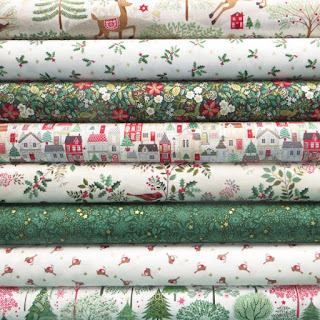 Christmas fabrics now available with Makower's Silent Night! Christmas always arrives early in the quilting world! The first of our Christmas ranges is now in stock with Makower's Silent Night range - classic motifs and rich green, red and cream colours decorated with metallic gold highlights make these fabrics perfect for all your Christmas projects. Also available in a fat quarter pack or stash pack, these fabrics are ideal for table runners, tree skirts and all kinds of Christmas decorations - the small scale of lots of the prints make them ideal for small projects even including Christmas cards!